This procedure is often done to help find the cause of your chronic back and leg pain. The discs in the lumbar spine (or back) form cushions between the vertebrae of the lumbar spine. These discs can often become degenerated or "worn out". This can lead to symptoms such as back pain, hip, buttock and leg pain. It is thought that these discs are the source of your pain and now this procedure will help find the disc or discs that are causing your symptoms. The doctor who will perform the injection will review your medical records and imaging studies to plan for the best location for these injections. Patients who are taking aspirin or blood thinners may need to stop taking them several days before your epidural steroid injection, doctor will provide specific instructions. Discuss any medications with your doctors, including the one who prescribed them and the doctor who will perform the injection. The injection is usually performed in an outpatient procedures suite that has access to fluoroscopy. You will need make arrangements to have someone drive you to and from the office or outpatient center the day of the injection. Before your injection, you will be asked to sign consent forms, list medications you are taking, and list any allergies to medications. Procedure may last 30-60 minutes followed by a recovery period. Patients remain awake for these procedures. Sedatives can be given to help lessen anxiety. The patient will be lying face down on the table, will receive a local anesthetic, which will numb the skin before the injection is given. If IV sedation is used, your blood pressure, heart rate and breathing will be monitored during the procedure. With the aid of a fluoroscope (a special X-ray), the doctor will direct a hollow needle through the skin and muscles of your back into discs of question. More than one needle may be used. Fluoroscopy allows the doctor to watch the needle in real-time on the fluoroscope monitor to make sure that the needle goes into correct location. When the needles are in the correct position, a small amount of solution will be injected into the disc. You may or may not have pain with this injection. 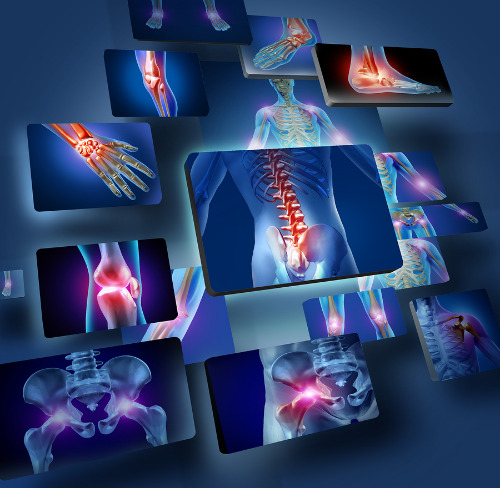 After the solution is injected into the disc, you will be asked a variety of questions concerning your pain and its severity. At the end of procedure all of the needles will be removed. Most patients can walk immediately after the procedure. After being monitored for a short time, you can usually leave the office or suite. Someone must drive you home. Before going home you will be schedule to have CT scan performed on your spine to obtain detailed picture of contrast dye in the discs tested. You likely will not have any reduction in your pain after this procedure. Occasionally, patients may notice a "flare" of their pain that can last from one to three days. You may also have a CT scan after the procedure to help further look at the discs and their condition. Typically patients will resume full activity the next day. If soreness around the injection site is present the following day, it may be relieved by using ice and taking pain medications. The doctor’s office may want to follow up with you 7 to 14 days after the procedure to discuss findings of the procedure. You may experience a small amount of bruising, bleeding or swelling at the injection site. It is best to apply ice compresses in the first 24 hours followed by heat after 24 hours in short durations, usually 20 minutes at a time. Please continue regular medications. If you are experiencing other difficulties or side effects please call our office so that we may recommend further action or please go to the nearest emergency room for evaluation. The potential risks associated with inserting the needle include bleeding, infection (very rarely, infections can occur in the discs after a discogram), allergic reaction, headache, and nerve damage (rare), corticosteroid medication induced side effects such as weight gain, water retention, flushing (hot flashes), mood swings or insomnia, and elevated blood sugar levels in diabetics. These usually resolve within 3 days. Patients who are being treated for chronic conditions (e.g. heart disease, diabetes, rheumatoid arthritis, or those who cannot temporarily discontinue anti-clotting medication) should consult their personal physician for a risk assessment.